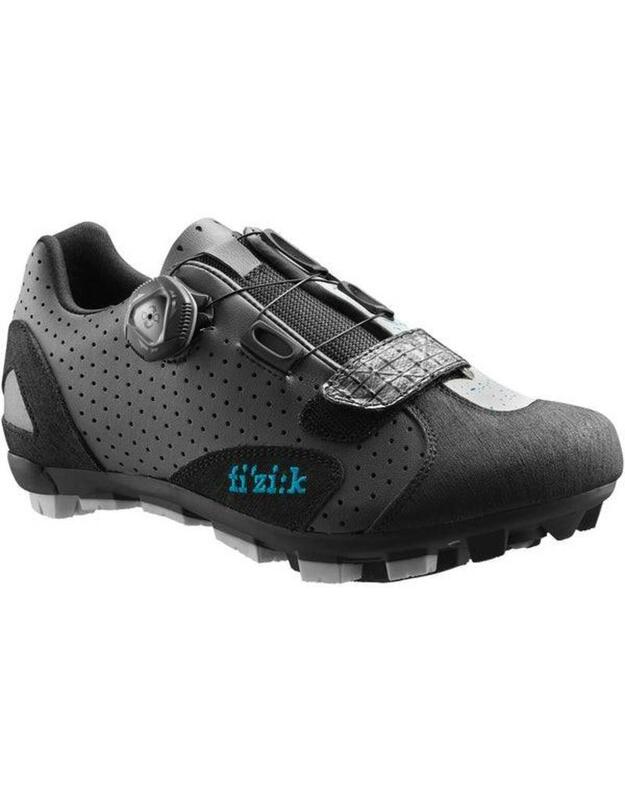 Mountain bike shoes come in all shapes and sizes, but perhaps none are as comfortable as the Fizik M5 Donna Boa Women's Shoes. 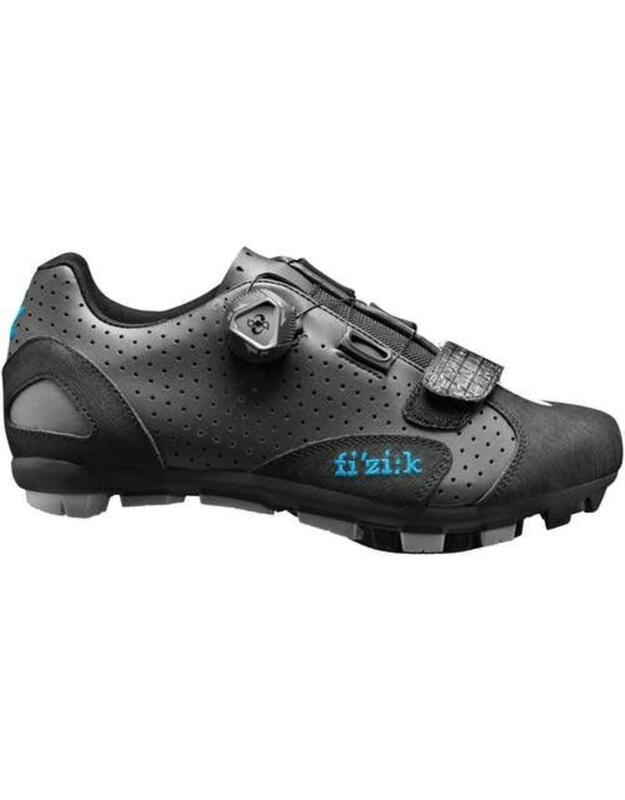 Fizik has become well known for making the best-fitting, most foot-pleasing shoes on the market, so it should be no surprise that the Donna's padded collars and supportive Fizik Cycling Insoles cradle your feet while you hammer up steep singletrack or fly down flowy descents. 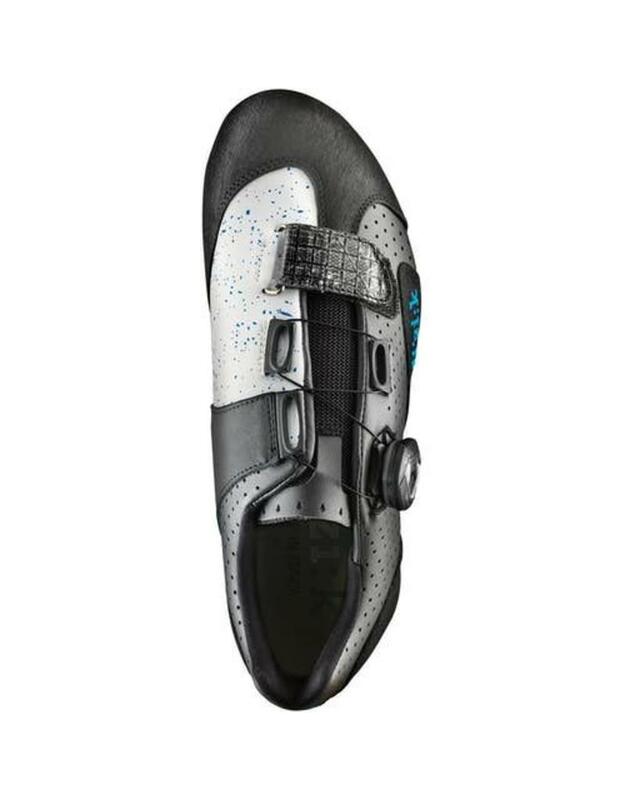 The Cycling Insoles have the added benefit of absorbing the vibration that your bike transmits to your feet, so you won't feel like you've been shaken to bits after riding through rock gardens or brake bumps. 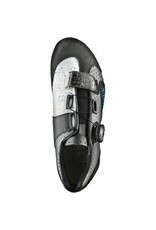 The comfort continues into the Donna's supple but tough upper. The majority is constructed from Microtex, a synthetic material that breathes well and stands up to abrasion. In the Donna, it has been laser perforated around the heel and the outside of the foot -- which increases ventilation -- and reinforced with scratch-resistant leather in the toe, heel, and arch. The leather's tough but surprisingly flexible, so it molds to your foot. Real comfort is impossible without a perfect fit, so Fizik engineered a Boa IP1 closure system that uses a twisting ratchet knob that allows for nearly infinite adjustment. A hook-and-loop strap at the toe secures the front of the Donna and provides the option of keeping the toe loose while the instep and rearfoot are tightly secured. 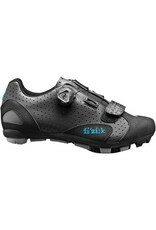 Of course, the most comfortable shoes in the world aren't much use if they're a floppy noodle that can't put power to the pedals. 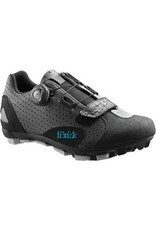 By incorporating a reasonably stiff carbon-reinforced nylon outsole, Fizik ensures that the Donna can put plenty of power down when it needs to but still keeps enough mid-foot flex to maintain easy walkability and all-day comfort, making it a shoe that can handle everything from quick after-work laps to all-day epics.